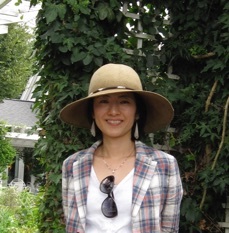 Maiko Matsui specializes in cardiology and neuroscience. Within these broader fields, she studies aortic valve disease and autism. Previously, Dr. Matsui had studied abnormalities in craniofacial development for her doctoral research, and chromosome segregation in male Drosophila meiosis during her undergraduate studies. Matsui M, and Pitt GS (2016). Genetic Variants and Disease: Correlate or Cause? European Heart Journal 37(18): 1476-1478 (link). Matsui M, and Klingensmith J. (2014) Multiple Tissue-Specific Requirements for the BMP Antagonist Noggin in the Development of the Mammalian Craniofacial Skeleton. Dev. Biol. 392(2): 168-181 (link). Matsui M, and Klingensmith J. (2013) Development of the Craniofacial Skeleton. in CJ Rosen, R Bouillon, JE Compston, and V Rosen (eds.) Primer on the Metabolic Bone Diseases and Disorders of Mineral Metabolism, pp. 895-903 (link). Matsui M, Sharma K, Cooke C, Wakimoto BT, Rasool M, Hayworth M, Hylton CA, and Tomkiel JE. (2011) Nuclear Structure and Chromosome Segregation in Drosophila Male Meiosis Depends on the Ubiquitin Ligase dTopors. Genetics 189(3): 779-793 (link). He F, Xiong W, Wang Y, Matsui M, Yu X, Chai Y, Klingensmith J, and Chen Y. (2010) Modulation of BMP signaling by Noggin is required for the maintenance of palatal epithelial integrity during palatogenesis. Dev Biol. 347(1):109-21 (link). Klingensmith J, Matsui M, Yang YP, and Anderson RM. (2010) Roles of bone morphogenetic protein signaling and its antagonism in holoprosencephaly. Am J Med Genet C Semin Med Genet. 154C(1):43-51 (link).